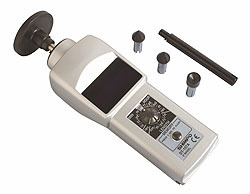 Multi-mode capability to measure RPM, FPM, YPM, etc. without special accessories. System Control Detection Optical coupler, 60 pulses/rev.